Mark Skousen, Ph. D., editor of Forecasts & Strategies, is a nationally known investment expert, economist, university professor and author of more than 25 books. In 2018, he was awarded the Triple Crown in Economics for his work in economic theory, history and education, and has been identified as one of the 20 most influential living economists (superscholar.org). He earned his Ph. D. in monetary economics at George Washington University in 1977. He has taught economics and finance at Columbia Business School, Columbia University, Barnard College, Mercy College, Rollins College and Chapman University, where he is currently a Presidential Fellow. He also has been a consultant to IBM, Hutchinson Technology and other Fortune 500 companies. He is the producer of FreedomFest, “the world’s largest gathering of free minds,” which meets every July in Las Vegas. (www.freedomfest.com). FreedomFest attracts several thousand people from around the world. Ed and Ron are honored to interview economist Mark Skousen, one of Ron’s favorite economics author. He is a former analyst for the Central Intelligence Agency, a columnist to Forbes magazine and past president of the Foundation for Economic Education. His economic bestsellers include: The Structure of Production, Economics on Trial, Puzzles and Paradoxes on Economics, The Making of Modern Economics, The Big Three in Economics, EconoPower, and Economic Logic, a market-friendly textbook. 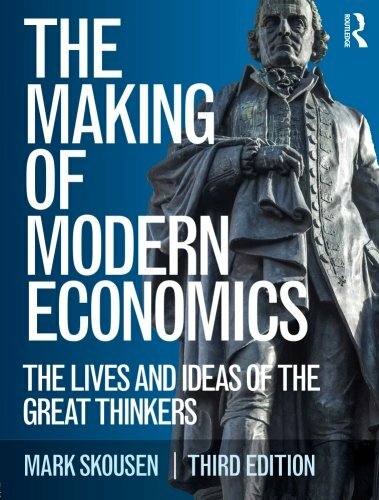 In 2009, The Making of Modern Economics won the Choice Book Award for Outstanding Academic Title. 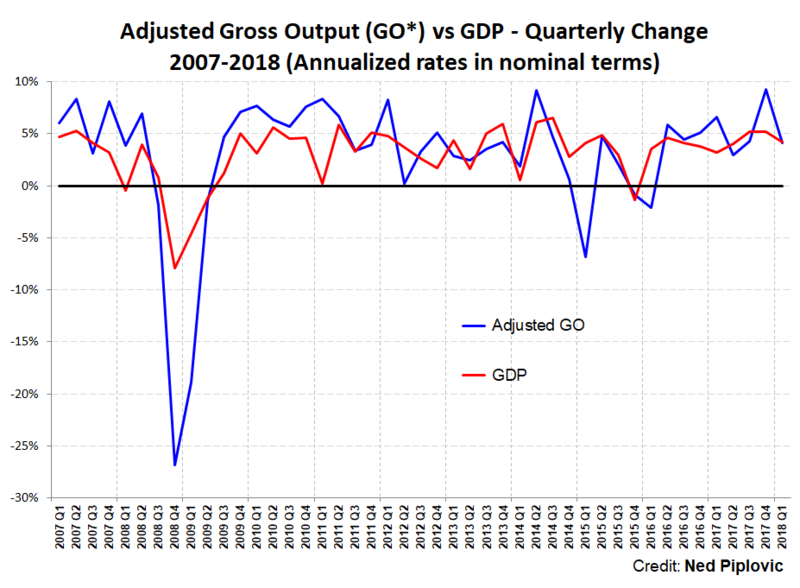 Based on his work The Structure of Production, the federal government began publishing a broader, more accurate measure of the economy, Gross Output (GO), every quarter along with GDP. It is the first macro statistic of the economy to be published quarterly since GDP was invented in the 1940s. In honor of his work in economics, finance and management, Grantham University renamed its business school, “The Mark Skousen School of Business.” Dr. Skousen has lived in eight nations and traveled and lectured throughout the United States and 70 countries. He grew up in Portland, Oregon. He and his wife, Jo Ann, and five children have lived in Washington, D.C.; Nassau, the Bahamas; London, England; Orlando, Florida. ; New York, New York; and Orange, California. Mark’s Economics in One Page Essay, which we discussed in the first segment before Mark came on the show. Measures spending throughout the entire production process, not just final output. Measures total sales volume at all stages of production, includes all business-to-business (B2B) transactions that GDP leaves out. Third quarter of 2014, GO hit $31.3 trillion, almost twice the size of GDP, which was $17.6 trillion. GDP measures the “use” economy, GO measure the “make” economy. According to Mark, GO is now approximately $43 trillion dollars (GDP is $20 trillion), and is a leading indicator, it’s more volatile than GDP. GDP is comprised of consumer spending, government spending, investment, and net exports, with the first two of these being the biggest contributors. Overemphasizing consumer and government spending as the driving force behind the economy, ignores supply-side benefits of saving, business investment, and technological advances. GO consumers less than 40 percent ($31.3 trillion), Spending by business $16.6 trillion, more than 50 percent of economic activity. GO over $23 trillion in 2014. GO significantly more sensitive to the business cycle than GDP. 2008–2009, nominal GDP fell only 2 percent, GO fell by 6 percent and B2B spending collapsed by 10 percent. Wholesale and retail trade figures are included in GO only as “net” or value added. Serious omission, more than $7 trillion dollars in business spending in 2014. We need to include gross wholesale and retail trade figures. They are legitimate B2B transactions that deserve to be counted. GDE in 2014 at over $37.5 trillion, 25 percent higher than GO and 120 percent more than GDP. Consumer spending actually represents only about 31 percent of the U.S. economy. Adoption of Gross Output most significant advance in national income accounting since World War II. Mark, we met at Laissez-Faire Books in San Francisco upon the publication of your book, The Making of Modern Economics: The Lives and Ideas of the Great Thinkers, now in its Third Edition (2016). It’s a fantastic book. You discuss the economist’s ideas, but also their little peccadillos. Explain the Gross Output statistics? (See discussion above). With this measure, you destroy that old trope that consumer spending is 2/3 of the economy, which is absurd. Either consumers aren’t spending enough, or they’re not saving enough. Behavioral economics has become a massive field of study within economics. What is your take on behavioral economics and its findings so far? 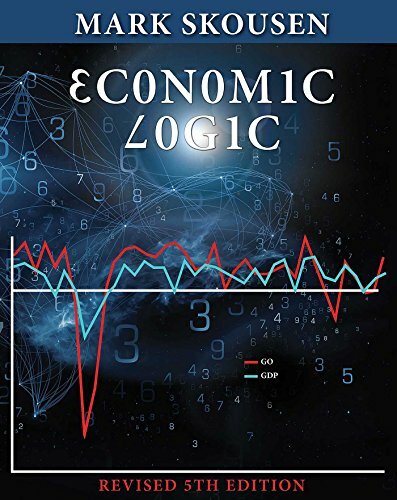 You wrote your own economics textbook, Economic Logic, which is excellent. What does it tell us about the state of economic education that Alexandria Ocasio-Cortez can get a degree in economics and be a devout socialist, without being able to coherently explain it, other than that everything is free and the wealthy should pay for it all? Economics on Trial is another fantastic book you wrote. What about the compromise idea that you are responsible for health care up to 15% of your income, and after that, single-payer? From an economic policy perspective, what grade do you give to the first 20 months of the Trump presidency. Another way of saying it is do you think your colleague Larry Kudlow is pulling what’s left of his hair out? You’re one of the few economists who have successfully integrated micro- and macro- economics. 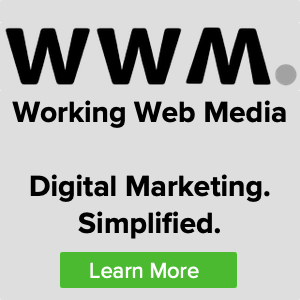 Since most of our listeners are business owners, what economic principles do you think are most important for small and medium business owners to understand? What are your thoughts on blockchain technology, and Bitcoin? What are your thoughts on the “Gig Economy,” is this a major shift, or just a tweak on the way things are done? What does A.E.I.O.U stand for? 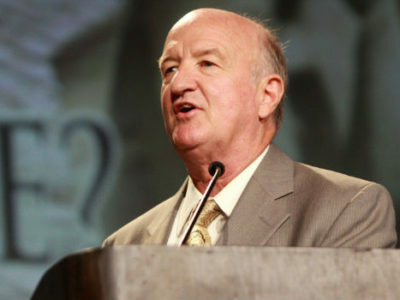 Thank you, Mark Skousen, for appearing on The Soul of Enterprise!